International companies held a special briefing during the recent NECA Convention in Las Vegas to learn more about cross-border happenings in the electrical industry and to network with colleagues from around the world. 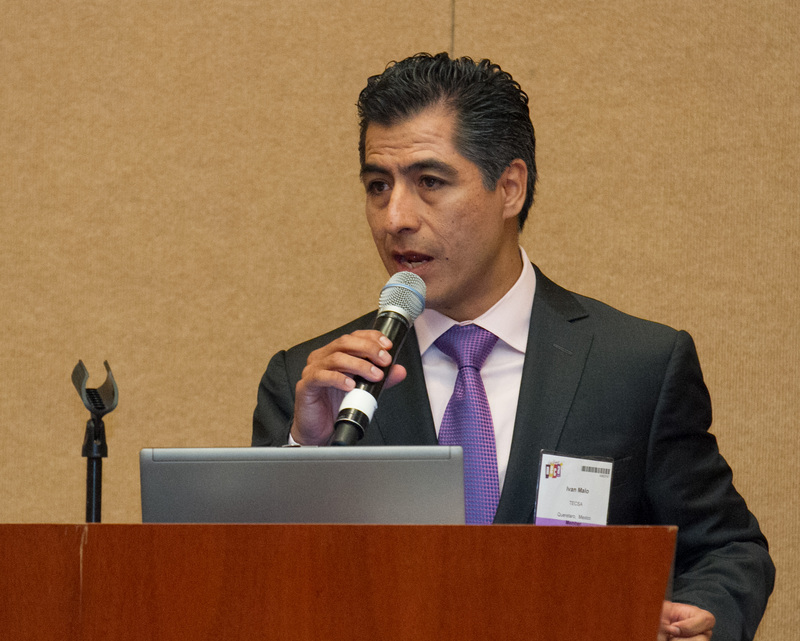 Ivan-Malo, UNCE-Mexico, speaks to members of NECA’s International Chapters at NECA 2012 Las Vegas. Russ Alessi, NECA’s Executive Director of International Development, welcomed participants, especially new NECA members RGTS Power Systems from Saudi Arabia and Olea Controls from Mexico. Alessi noted that NECA now has 67 international members from 15 countries, with Canada at the forefront boasting 39 companies that have joined NECA. In addition to individual international members, NECA now has 11 International Chapters. Bermuda, Canada, Honduras, and Korea each have one chapter. Mexico has three NECA chapters, and Australia hosts four. Alessi encouraged participants to sign up for the next ELECTRI International Cross-Border Meeting in Quito, Ecuador, March 13-15, 2013. Details on NECA international activities and on ELECTRI International programs and services for the international market are available at www.electri.org and at www.necanet.org. Companies interested in joining NECA as an international member or in establishing an international NECA chapter may contact Russ Alessi at rja@necanet.org or at +1 301-215-4518. 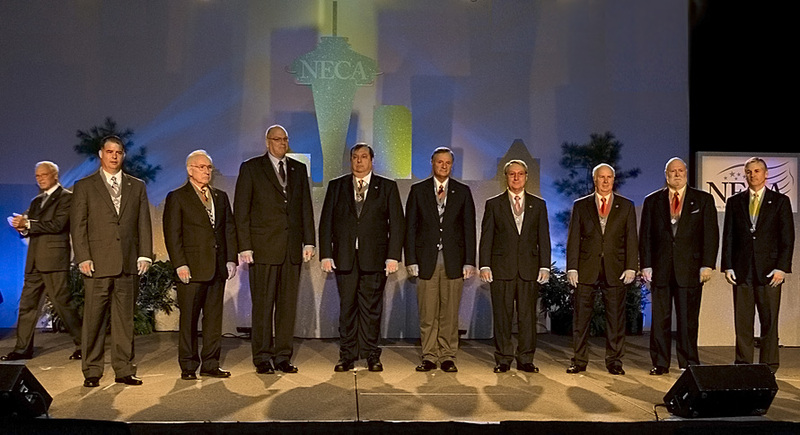 The 2010 NECA national award winners were recognized at Tuesday, Oct. 5’s closing general session. Award winners are listed below. Convention-goers also heard from NECA CEO John Grau and ELECTRI Council Chairman Mike Mazzeo. Paul Anthony, the “Voice of NECA” and general session emcee, was also recognized for his tenth appearance at NECA’s annual convention. Former soldier and acclaimed author Michael Durant offered the event’s keynote speech. He walked the audience step-by-step through the catastrophe that changed his life 17 years ago when the Blackhawk helicopter he was piloting crashed in Mogadishu, Somalia. Durant shared the insight about how small missteps and miscalculations can lead to great tragedies. He compared the U.S. volunteer armed services to the training and preparation performed by NECA contractors. “When facing a tough task, practice is all the more important,” Durant said. “Dangerous things should never become routine, but they must be practices to avoid that potentially fatal hesitation – something the workers in your industry can understand. 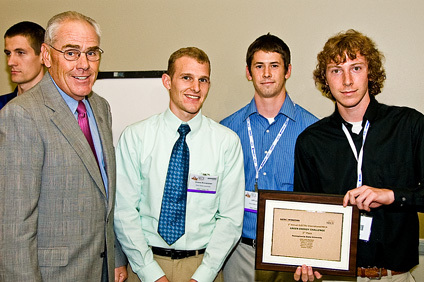 Alcan Electrical & Engineering, Inc.
More information about the Academy’s 2009 annual meeting, a list of Fellows and a complete archive of papers by Academy Fellows is available on NECA’s website. Following presentations from the three Green Energy Challenge finalist teams yesterday, the entry from the NECA student chapter at the University of Washington was selected as the winner. 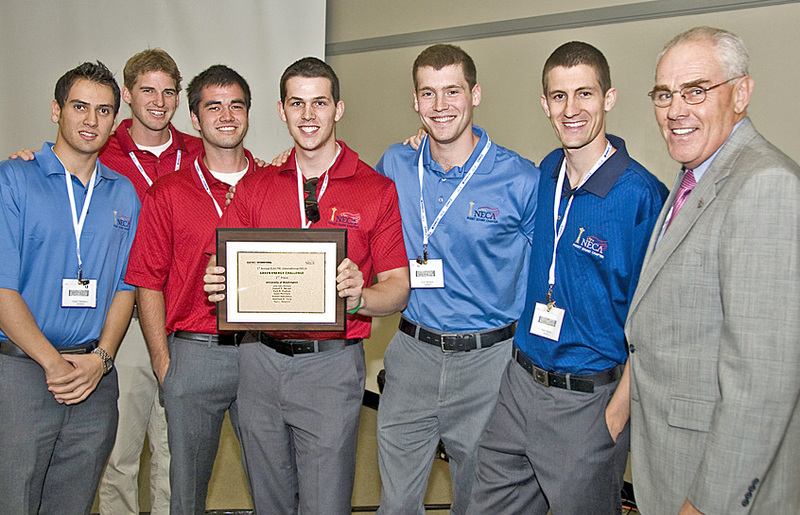 The results were announced at the NECA Student Chapter Summit today. 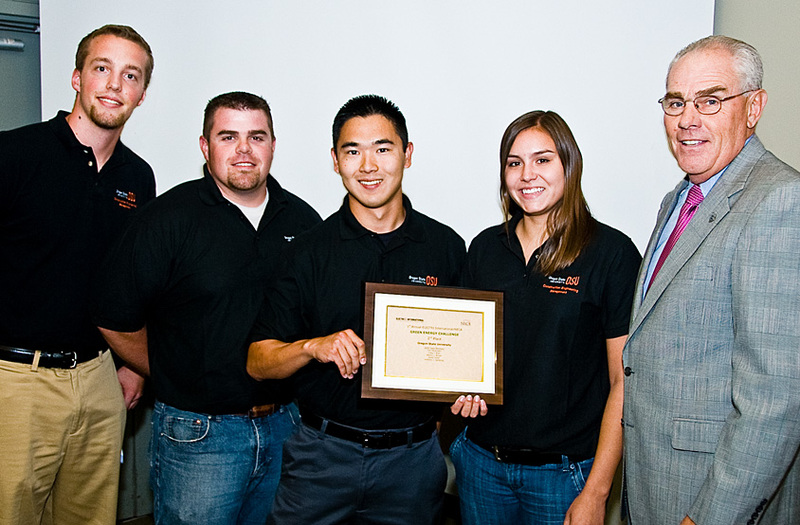 Oregon State University placed second, and The Pennsylvania State University was third. UW team leader Joey Berger was also recognized for his excellent presentation skills. A full report of the Green Energy Challenge submissions will be available from ELECTRI International soon. More information about the Green Energy Challenge can be found on NECA’s website. The just-completed NECA Convention in Chicago was my 31st. That doesn’t even come close to the record set by former NECA President Bob Colgan of Toledo, Ohio. This was his 57th! To Read more of John’s recent post featuring the NECA 2008 Chicago Convention, visit NECATransmissions.org or Click here. Jennifer Brice, NECA NewsCast host, brings us an exclusive peak into the Labor Relations focused general session. On stage were IBEW International President, Ed Hill and NECA’s VP of Labor Relations, Geary Higgins – together they highlighted the future of the NECA/IBEW working relationship. Also in the spotlight of this broadcast were NECA’s general sessions, green alley and the International Lunch hosted by ELECTRI International.